Combine chana with red chili powder, turmeric, pepper powder, coriander seed powder, salt, and water. Cook in a pressure cooker for 4 to 6 whistles till soft. In another pan, heat oil. Add fennel seeds, coriander seeds, ginger, garlic, shallots, coconut, garam masala powder and sauté on a medium flame for 5 to 7 minutes till coconut gets toasted. Cool and grind into a paste. 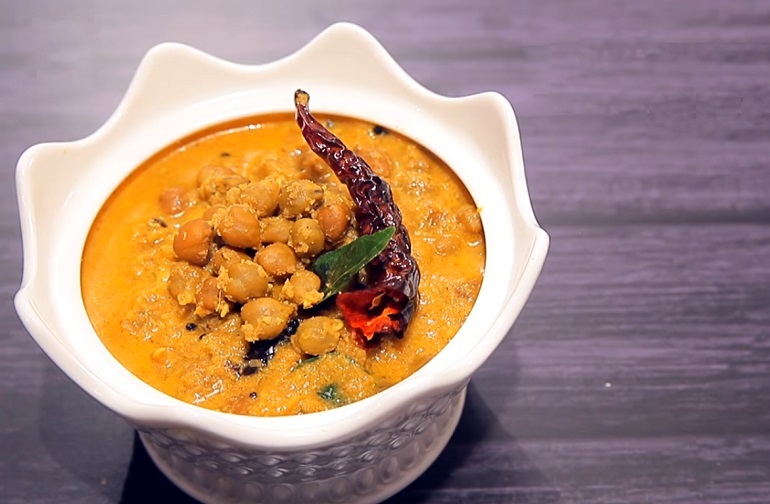 In a pan, combine boiled chana, paste and enough water for curry. Simmer on low flame for 8 to 10 minutes. Check for salt. Prepare to temper with oil, mustard, curry leaves and chili. Pour over simmering curry and serve hot with appams, parotta, puttu or rice. This Kadala curry Recipe is so easy to make! 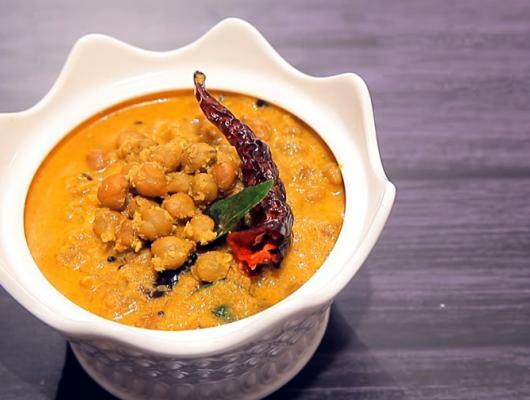 Kadala curry recipe is a made with black chickpeas, freshly roasted masalas, and a generous splash of coconut milk. Kadala curry with Puttu is the first option for breakfast in Kerala region. Kadala is very simple and easy recipe to make without much ado. To make this Delicious Indian Food, you just need few ingredients and spices which easily available in your kitchen.